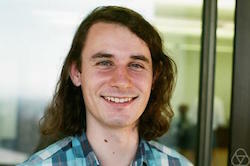 Peter Scholze has been awarded the Fields medal, at the 2018 International Congress of Mathematicians in Rio, for "transforming arithmetic algebraic geometry over p-adic fields through his introduction of perfectoid spaces, with application to galois representations and for the development of new cohomology theories." Perfectoid spaces are testament to the vibrancy of mathematics, having only been introduced by Scholze in 2011 (when he was just 23). And despite being such new mathematics, the concept of a perfectoid space has allowed Scholze and others to already prove important open problems in algebraic geometry and other areas. His work brings together the areas of mathematics of topology (which studies the shape of mathematical objects – read more here), Galois theory (which uses symmetry in the study of solutions of equations – read here) and p-adic geometry (which we'll describe below). Adding 1s together in the real or rational numbers never gives you an answer of 0. This difference is captured by the characteristic of the field – for our field of arithmetic modulo 7, the characteristic is 7. (For any field defined as the arithmetic modulo some prime number p, the characteristic of that field will be the number p.) But as it isn’t possible to do this in the reals or rationals; they both have a characteristic of 0. Scholze worked on problems that involved different fields, sometimes involving both a field characteristic p (where p is a prime number) and a related field with characteristic 0. In particular, Scholze wanted to solve problems in fields with p-adic arithmetic, which have characteristic 0. In these infinite fields the p represents a prime number that defines a new measure of closeness (eg, 2-adic, 3-adic, 5-adic arithmetic and so on). In this new measure of closeness, two numbers are close not if they are close in value, but if their difference is divisible by a power of the prime number p. The higher the power, the closer the two numbers are. For example, in the arithmetic we are used to, the numbers 3 and 67 are not particularly close, but they are closer than 3 and 1027. But in 2-adic arithmetic pairs of numbers are close to each other as they differ by powers of 2: 3 and 2017 differ by 210, making them far closer than 3 and 67, which only differ by 26. Sometimes it is easier to tackle problems for fields with prime characteristic than it is for fields with characteristic 0. 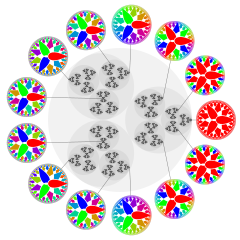 And so Scholze created the concept of perfectoids as a way to "tilt" the fields with characteristic 0 to ones with characteristic p. The method this involves is complex and the perfectoid space created is an infinitely winding, fractal-like object that bridges p-adic arithmetic and geometry. Perfectoid spaces are ones in which p-adic arithmetic can be used to understand the geometry and topology of the spaces, connecting different areas of mathematics and allowing tools from on area to be used in another. Perfectoid spaces have already had a great impact on mathematics in a very short time: a growing new area of research, solving open problems and opening up new avenues for research. The concept might even shed light on some deeper unifying aspects of mathematics. It also demonstrates the role of mathematics as a language, and the importance of having the right language for what you are trying to do. "The key issue for me is finding the right definitions, finding the right notions that really capture the essence of some mathematical phenomenon," says Scholze. "I often have some vague vision of what I want to understand but I’m often missing the words to really say that. But then sometimes I read some other paper and there’s this definition that really clicks, and suddenly I can say what I always wanted to say." Scholze is expanding the language of mathematics and allowing us to tell new, beautiful and perhaps surprising mathematical stories.